A concept of P-independent sets is defined for Z-modules or convex sets. P- independence gives a convex analogue of usual independence. It is used for codes. A quasipolynomial type theorem is proved for the number of inequivalent codes with a given distance pattern and length. 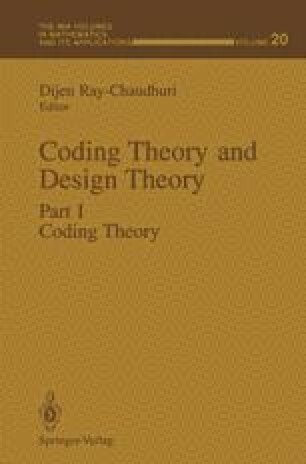 The relationships with the classical coding problem and the design problem are discussed. The results of this paper were proved when the authors were visiting the Institute for Mathematics and its application at Minneapolis, USA with support from IMA . The second author also received support from NSA grant MDA 904-88-H-2034.